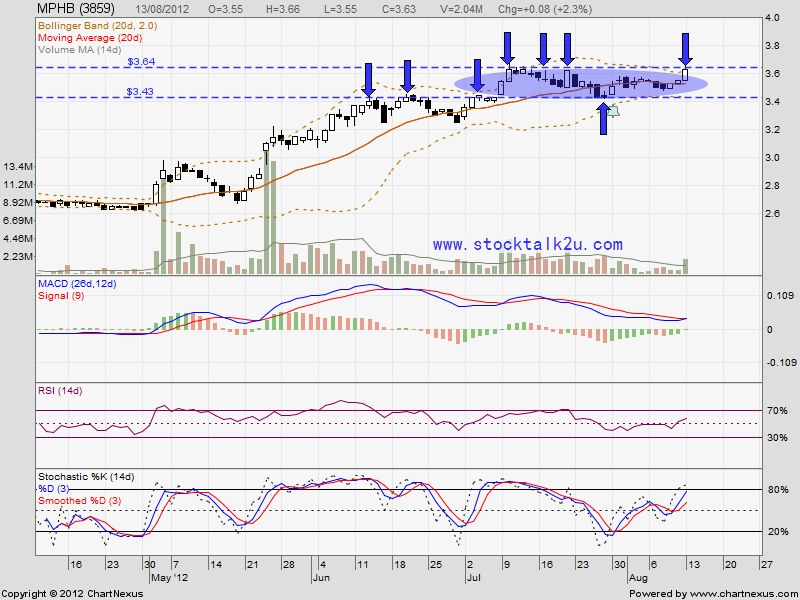 MPHB retest RM3.64 strong resistance level. Will it break through & go higher? Stochastic %K still BUY call itinerary. 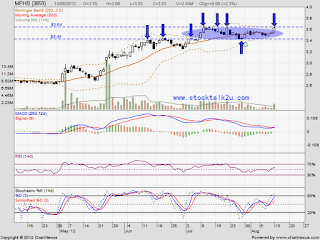 High potential, it might break through RM3.64 level. However, if retrace down, immediate support level should be MA20 level. Subsequent support MA50 or bolinger lower line.